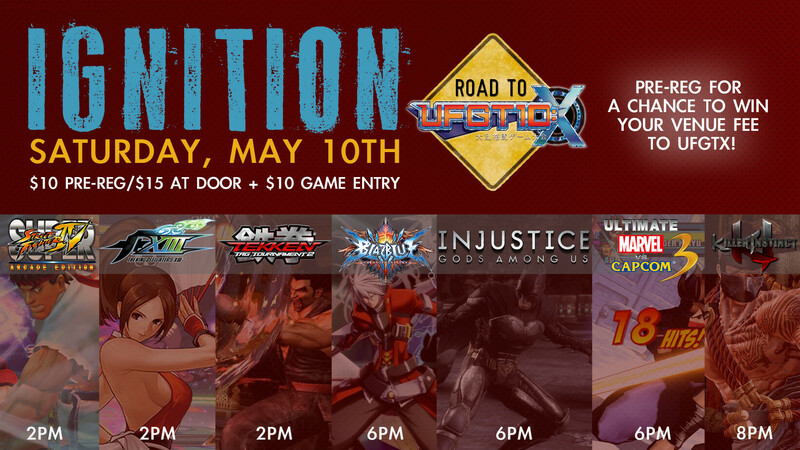 Ignite Gaming Lounge is proud to announce the latest fighting game tournament in the Ignition series! Pay your venue fee early and save $5! Pre-registering enters you into a raffle for prizes including free venue passes to UFGT:X! We will need consoles and games! If you want to help out and bring your system for the tournament please contact me directly. You can send me a PM through here, or send an email to noahvand@gmail.com Posting in this page alone is not a confirmation for you to bring your system, and does not guarantee a waived venue fee. All those that are confirmed through me to bring a system will not pay a venue fee. YOU WILL NEED YOUR OWN CONTROLLERS. Be ready to play on the system the game is going to be played on. Ignite will have some on hand to rent out, but do not rely on this. 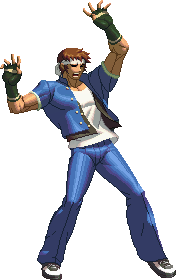 If you have a game that is not being officially run that you want to have a side-tournament for, please contact me or post up. Side tournaments will be at 8 PM, and I will need volunteers to help run those brackets as needed. Please note that Ignite Gaming Lounge is open to the public, and we can't have the staff's eyes on the donated consoles at all times. Please be vigilant and responsible for your belongings. Food and drinks are available at the venue, but outside food and drink is allowed, including delivery. Schedule is up. Pre-reg (venue fee only) is up! Check it out! Everybody must know the theme song. Unless there is some serious opposition, we'll be using PS3 for Injustice simply because we'll have more on hand. Some side games have been added, so check em out!